I’m guessing there’s some misunderstanding. Shall we talk about it during your visit in December? This email would seem to imply that McMaster had sent a message to Pei (or someone at OP) about ceasing relations between the two companies, given the subject "Cyanogen end." The next email, a reply from McMaster, confirms it. Carl. We will be terminating our relationship with one plus. I will get back to you with more details shortly. Nice way to wrap up your business partnership, right? Just send an email out of the blue absent any details to the manufacturer of your sole on-sale product. What could possibly go wrong! In case it was unclear, McMaster follows up to make sure. No misunderstanding. We have no reason to meet in sz[*]. We are terminating. Oh, well that's good to know. No misunderstandings here, just a unilateral "screw you, bye." *SZ is in reference to Shenzhen, China, where OnePlus is heardquartered. Carl….Any and all communication in regard to oneplus and cyanogen must go through vik and myself. Frank also cc’d is our general council. If you have any specific questions send them to all of us. Aw, that's cute. He signed it "K." Like they're buddies. As you'll note, the contents of this email (or rather, the threat therein) do not line up with the current situation on the ground, in which both OnePlus and Cyanogen are claiming the One will continue to receive software updates from Cyanogen, just not in India. The Indian OPO will also not ship with Cyanogen OS, as per the terms of the injunction in the lawsuit. Why did McMaster take such a hard stance against OnePlus, threatening to completely pull all software support for the company's one device? My guess here is that OnePlus planned on selling the phone with CyanogenMod in India regardless of Micromax and Cyanogen's objections, something the company went on the record as being the case just a couple weeks ago. 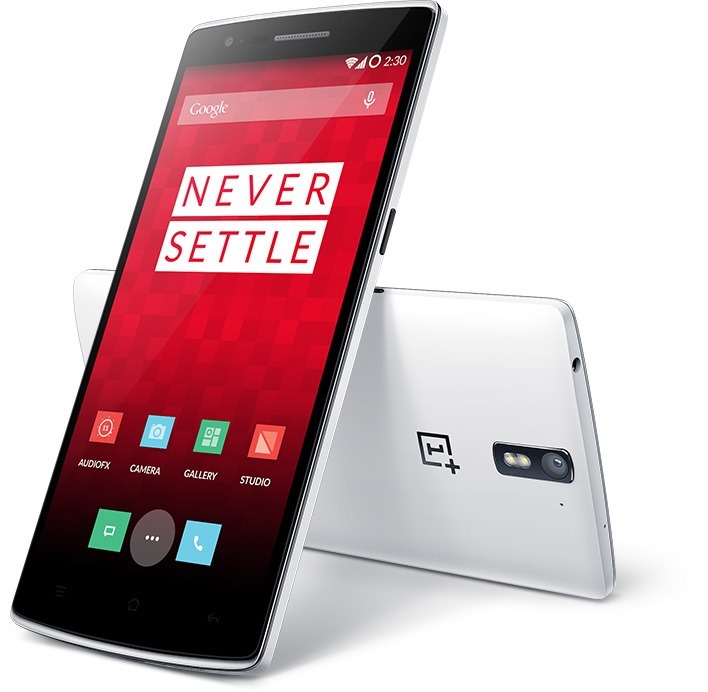 OnePlus specifically claimed the OnePlus One in India would ship with CyanogenMod, only to be flashed to the company's own Android ROM at a later date. It's possible this statement could in part be true - the court order gives OnePlus the right to liquidate any current stock of product "lying in the market," so it's possible OnePlus already has phones in India it could sell. It has already sold some stock through Amazon.In. But it's unlikely so many phones are in the country as to matter in terms of an official statement - it sounds as though the bulk of OPOs sold in India will not have Cyanogen OS unless the company manages to get the injunction lifted. Later, though, McMaster appeared more willing to compromise, in an email dated November 24th. There is no context for the change in position - at least not in exchanges between Pei and McMaster. This would seem to more accurately reflect the state of affairs between the Micromax-Cyanogen-OnePlus hate triangle, wherein it looks likely OnePlus will simply ship a non-CM version of the One to India early next year. The rest of the emails are largely uninteresting, but you can read them here. They have un-redacted phone numbers and emails, so please, be courteous. My interpretation of this whole scenario? It's difficult to say exactly what sparked the falling out between the two companies without additional context. While it does appear Pei was legitimately surprised to hear that Cyanogen was planning to terminate its relationship with OnePlus (a termination that, as far as I can tell, is still in limbo), we have to wonder what led Cyanogen to that decision. The most likely explanation based on the evidence we have, though, is greed: Cyanogen jumped into bed with another partner it thought would be more profitable and in the process threw OnePlus under the proverbial bus. Based on the sudden interference in OnePlus' Indian launch plans and the surprised tone of Pei in the emails, I have to personally go with this side myself - it sounds like OnePlus was blindsided. We heard about the Micromax partnership way back in the beginning of October, too - over 10 weeks ago. Even at that stage, you have to wonder whether Cyanogen understood that partnership would derail OnePlus' India launch, and the effect it would have on the companies' future collaboration. Cyanogen chose to partner with this company under these terms. While I don't have the most sympathy in the world for OnePlus as a company, it's difficult to not come out of this rooting for them. Cyanogen Inc. comes off as a poorly organized, erratic organization with a thoroughly unlikeable (and arguably less than competent) CEO. Though we may never know exactly what transpired, the evidence we do have doesn't paint a rosy picture of the future between OnePlus and Cyanogen. Even if the partnership does live, it would seem to be dying on the vine.